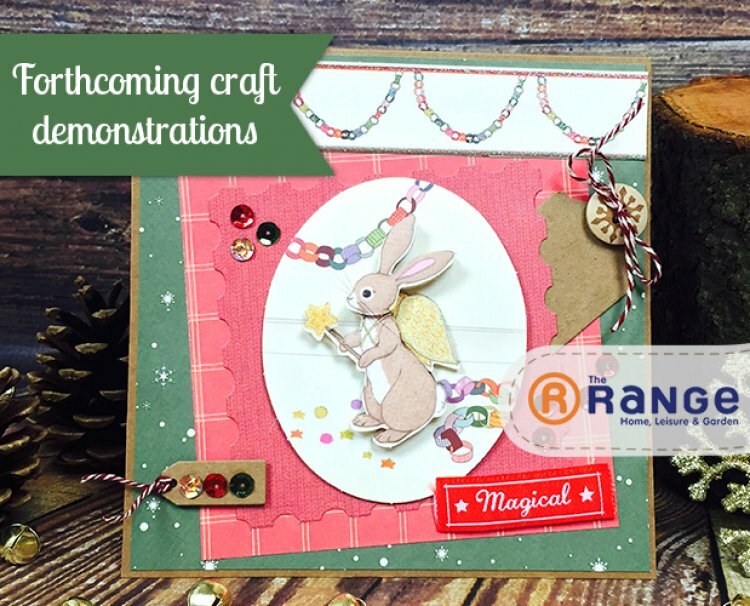 If you find yourself near any of these The Range stores this weekend then pop by and see our lovely demonstrators showcasing the newest Trimcraft Christmas collections from Dovecraft including the Back to Basics, Glad Tidings and North Pole. We hope you can visit us in store and join one of our demonstrations! Our team of demonstrators are here to help with crafty ideas and any craft questions you may have. Next weekend's demonstrations will be at the following The Range stores: Aldershot, Barnsley, Bridgent, Clacton, Shrewsbury, Canterbury, Colchester and Benton!